But my critique is that he and others should describe what early Christians actually thought about these books according to their clearest statements on the subject before turning to material evidence, which is not self-interpreting. The clearer evidence should interpret the less clear. My critique is that he should have continued his discussion of the testimonia, which he resumes in ch. 8 over a discussion of the books at the “borders.” The reason for this is clear: the testimonia continue to define the canon in clearer and more specific terms, while the MSS introduce some material evidence that bucks the trend. The material evidence requires more interpretation and presupposition on the part of the researcher. From the standpoint of method, we need to recapture the ancients’ biblical theory so that we know what we are looking at in the artifactual evidence (see my post on this matter). I think Kruger would agree with this point, but he carried it out inconsistently in his book. No doubt, the burden was to show the NT core canon before the period of our lists (top of p. 234). But, I also don’t think there is anything in my argument about the codex that requires it [scriptural status of the Shepherd]. The only way it would require it is if I were making the argument that all books on codices were automatically Scripture (something that I am clearly not arguing). 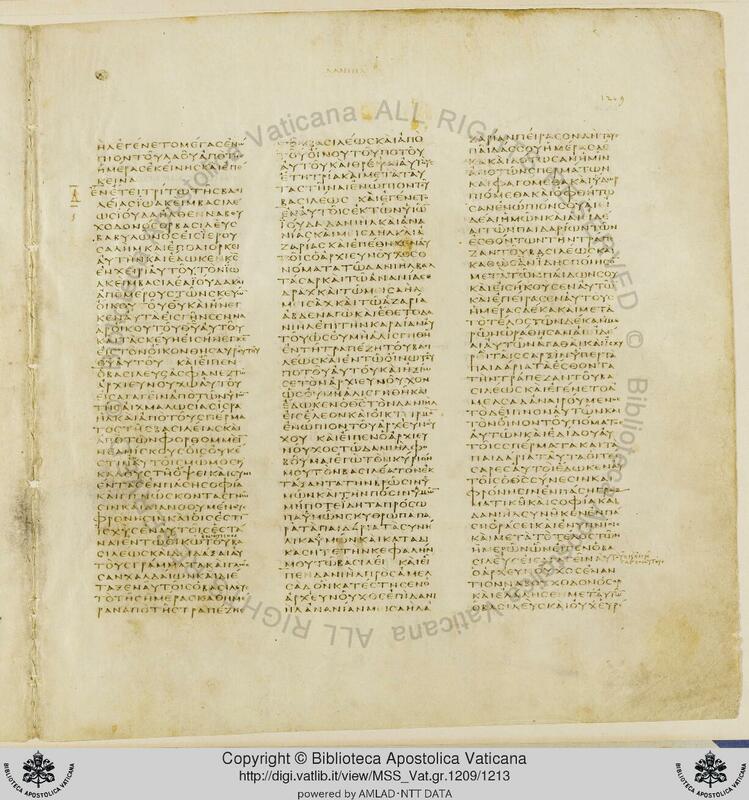 We must assume that the authorities behind Codex Sinaiticus and Codex Alexandrinus considered these works canonical [the Shepherd; Barnabas; 1–2 Clement] and wished to promote them as such. Certainly the user of these codices would have accepted all the texts in their Bible codex as having equal status. We should move from the clearer ancient statements (requiring less interpretation) on scripture and canon to the material evidence requiring substantially more interpretation (a point with which Kruger probably agrees). In this move, we can avoid over interpreting the evidence of the codex or other material evidence sets that require more interpretative prowess. Therefore, when one comes to the Shepherd or any book with substantial material evidence or usage (citations, allusions, echoes), there is already a plausible description of early Christian views of this kind of literature, namely, many Christians considered the book Scripture but not part of the NT canon. Or when one comes to composite or miscellaneous codices such as P72 (note Kruger’s discussion on p. 246; see also this post and comments) one need not conclude that this MS is an exception that proves the rule because it contained NT works beside non-canonical ones. Kruger’s view of the significance of the codex leads him to explain away the “exceptions” to the rule of what is typically Christian. Yet, these MSS are obviously Christian, no matter their appearance or putative functions. How much significance should we assign the works of 3 Corinthians, Acts of Phileas, ch. 11 of Odes of Solomon etc. in the codex, if canon and codex go hand in hand? The problem is deeply one of method, and I don’t think Kruger’s chapter clarifies matters. My old professor taught me to find the Archimedian point to a given problem by which one could move the world. In canon studies, that point is a careful analysis and reading of the primary testimonia, the clearest statements on the matter, and interpreting the rest of the data through these as responsibly as we can. I think Kruger would agree with me on this point. But not all do. Once such an Archimedian point is discovered, we are in a position to describe the matters of MS evidence and citations of the books at the borders on the merits of early Christian biblical theory itself. This approach will lead to far fewer “exceptions” and more explanations of the actual evidence and data at hand. Moreover, Meade makes it sound like my proposed solution about codex Sinaiticus was a significant part of my argument. Instead it was merely one sentence (!) in an entirely different chapter (276). Obviously, I had no time to develop it (nor did I think it necessary to do so). It’s a bit disingenuous for Meade to pick up a single line like this and then present it as a substantive basis for rejecting my position. This paragraph assumes the several times I mentioned Kruger’s references to the Shepherd, such as the 11 MSS that contain it etc. My critique here of Kruger’s method is that he should not have cited Elliott on the codex so approvingly on p. 250 and then seek to explain the evidence of the Shepherd in Sinaiticus by appealing to Horbury on the Muratorian. Perhaps we should interpret Sinaiticus and other lists in the same way, but I’m not sure he argues that point as much as assumes it, and not all make the same assumption here. The Shepherd is a good test case, and I thought I was fair in my description of Kruger’s references to it and in my critique. I won’t repeat everything I said in the point above, but the need is for recapturing the ancient description of this literature and then we might see more clearly that the codex was used as a scriptural repository that did not equal the canon; that is, useful and edifying scripture was placed beside books that would be recognized as canonical. Again, Kruger and I probably agree on more than we disagree. But we disagree over method and the interpretation of the significance of the codex. I thank Kruger for interacting with my review, and I think we both believe that this is a discussion worth having. 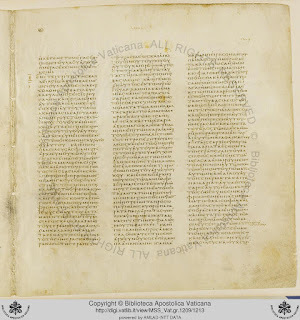 "the codex was used as a scriptural repository that did not equal the canon; that is, useful and edifying scripture was placed beside books that would be recognized as canonical." I do think that the use of the codex better aligns with the early Christian's approach to these writings, that is, a utilitarian, handbook approach. This seems to better align with the literary evidence. Have you read Kruger’s entire argument in his book or at least his responses to Meade? TJ, what of TM's comments would Kruger not approve of? I rather think that comment would be agreed on by all. Kruger has already said that he doesn't think codex equals canon, though some of us are still a little skeptical as to how he reconciles those statements with others in his book and his blogposts. I may well have misread Tim’s comment. As I read it, there appeared to be a comparative statement that assumes the idea of a utilitarian use of the codex as opposed to Kruger’s position which acknowledges that codex does not equal canon, but sees a distinctive preference for scripture within the codex. This distinction is the essence of the disagreement, is it not? Hopefully, Tim will correct me if necessary. TJ, I didn't read TM's comment that way since he was affirming the language of "repository of scripture." All he means, if I read him right, is that there is nothing sacred about a codex in and of itself. Early Christians simply made use of the handbook format available to them for their writings. Remember, that's all we can say since many other books which were not canonical are still found in the codex, even if one wants to establish a "trend" for the canonical in the codex based on quantity of codices and contents. Sorry for the late response John and Timothy, I have been traveling for work and have been out of town until recently. John, you understood my correctly. Timothy, I was not meaning to detract from Kruger at all. I have read and enjoyed very much his work on canon and have quoted him in my published papers. Any criticisms of viewing codex as sacred goes beyond Kruger. I hope that helps clarify my comments.